BPMCalc has a great new layout which means you can change BPM faster than ever before. It has also been updated to scale natively for the new iPhone 6 and 6 plus. BPMCalc is all you need to calculate the percentage differences between two songs when mixing with CDJs, Serato Scratch Live, Traktor, Virtual DJ or many others. 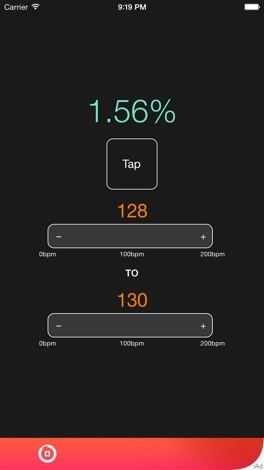 - Now includes a tap to find the BPM function for those tough tracks. Vent it: It is for fun, entertainment or to Vent anger and frustration, not by punch someone or by destroying property but by using this App in a safe way and express your feeling by writing it on a china plate and smash it. Penguru. Save his girl friend. Use iPhone/iPod accelometer to dodge arrows and cannon balls. Survive until his girl friend throws an item! Get the item and fly to the next stage! 2 modes 9 stage Have fun!